Two versions: Adjustable thermostat or fixed at either 70F or 120F. 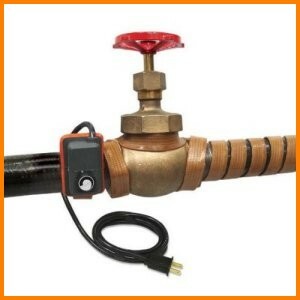 Adjustable version maximum setting of 160°F / 71°C. 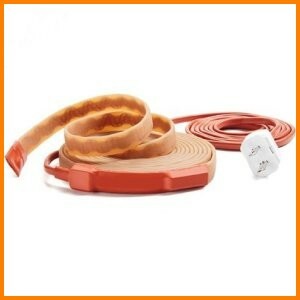 Extremely flexible silicone rubber heater strip. Moisture and chemical resistant. IP54 rating for adjustable version, IP66 for fixed version. Safe for use on metal surfaces. Multi-strand resistance element for mechanical durability. Heater strip maximum exposure 450°F 232°C. Power cord with 2 prong plug for 120VAC. Bare wire pigtail for 240VAC.